For someone without any children, I read quite a few parenting books (and blogs). I suppose I could try to justify this quirk with the fact that I work with children, and these books help me to be a better teacher/tutor/babysitter. There is truth to that, but the primary reason I spend so much time reading up on parenting is that I hope to one day be a parent, and I figure that it’s a good idea to get a jump start on this reading now, before kids come along and I find myself too time- and sleep-deprived to get any reading done. As I look toward one day being a mother, there are several aspects of parenting that I’m nervous about terrify me, but the one area that has me the most anxious revolves around the issue of nutrition and feeding. 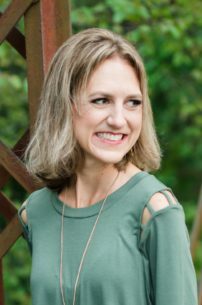 Given my own history with eating disorders, I recognize that I will have to be very intentional in this area that likely comes naturally to most parents; in spite of this – or perhaps because of it – I am determined to do all that I can to raise children who have a healthy relationship with food and their bodies. Knowing my desire for parenthood – and my equally strong desire to raise emotionally and physically healthy children – my dietitian recently recommended several books about raising healthy eaters. The first of these books was written by Ellyn Satter, a family therapist and registered dietitian, and one of the leading experts in the area of child feeding dynamics. Your Child’s Weight: Helping Without Harming is primarily written for the parents of overweight children, but the concepts of feeding and parenting addressed in this book are relevant for families of every size. 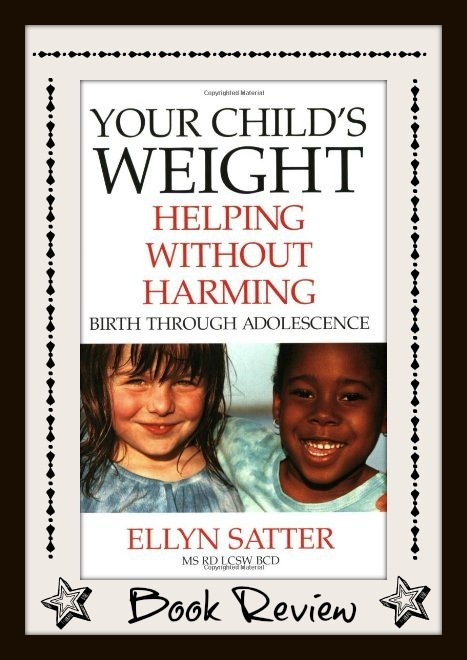 At the core of the book – and the subject of the first several chapters – is Ellyn Satter’s Division of Responsibility, which states that when it comes to feeding, it is the parent’s job to provide structure, support, and opportunities, while it is up to the children to choose how much and whether to eat from what the parents provide. In other words, parents are responsible for providing regular meals and snacks, consisting of food that they (the parents) have chosen and prepared. Meanwhile, parents must trust that their children will eat the amount that they need, that they will eat an increasing variety of food, and that they will grow predictably. Satter understands that overcoming tendencies toward either restrictive or permissive feeding will be difficult for parents, but she insists that implementing the Division of Responsibility will serve to establish trust: between parent and child, and also between a child and his or her own body. It is Satter’s belief that child weight problems are primarily behavioral problems that can be ameliorated through healthy feeding dynamics. After making her case for the Division of Responsibility, Satter spends several chapters explaining how these feeding practices should be implemented for each age group, from infancy through adolescence. Satter also devotes sections of her book to the topics of family meals and physical activity. The book’s final chapter is dedicated to helping parents understand their child’s growth. According to Satter, a child is genetically predisposed to grow in a certain way, and by plotting their child’s growth on a chart, parents can get a clear picture of whether or not their child is growing in a way that is right for him. Satter’s thoughts on this matter differ from those of many health professionals: rather than focusing on how a child compares to the height and weight of other children, Satter is primarily concerned with whether or not the child’s growth has been consistent. For instance, when encountering a child who is currently at the 98th percentile for weight, many pediatricians would recommend that the overweight child be placed on a diet. Satter, however, would look at the child’s history to see whether or not the child had been growing at the the 98th percentile since birth. If that is the case, Satter would argue that the consistency of the child’s growth indicates that this is a healthy weight for him. Rather than trying to bring their child’s weight down, Satter would encourage his parents to help him accept his size. This idea of measuring a child’s growth against himself – and not against the growth of other children – was new to me, and has reframed the way I understand the correlation between health and weight. Despite the fact that this is a book about feeding, there is relatively little focus given to food and nutrition. I believe that this is intentional, stemming from Satter’s belief that “how you feed is far more important than what you feed in terms of allowing your child to grow appropriately.” Satter does give some very broad guidelines regarding food selection, but emphasizes that eating attitudes and behaviors play a far greater role in a child’s health and well-being than the specific foods that they eat. (For instance, Satter believes that a family meal enjoyed around a table at McDonald’s is healthier for a child than a balanced, home-cooked meal mindlessly eaten in front of the television or on the go.) I can appreciate Satter’s desire to relieve some of the pressure (and possibly alleviate some of the guilt) that parents feel regarding food selection, but some more thorough suggestions would have been helpful. While I have difficulty embracing some of principles laid out in Your Child’s Weight, I appreciate the intent behind Satter’s philosophy, and I found the concepts within the book to be informative and thought-provoking. I also cannot argue with the science behind Satter’s ideas, which are supported by credible studies and reliable sources. Unfortunately, I was not impressed with Satter’s actual writing. The book is filled with grammatical errors, awkwardly written passages, and redundant references to other sections within the book (as well as to other books that Satter has written). Detailed case studies are used throughout the book to illustrate various principles, and while these anecdotes are helpful to a point, they are frequently drawn out and add unnecessary length to what is already a very long book. As much as I was intrigued by Satter’s ideas, I struggled to make it through this book. Nevertheless, it was a worthwhile read, and I hope to one day implement some of Satter’s strategies when raising and feeding of my own children.